It's Time to Tango with Tangerine! It's official, the color of the year is TANGERINE! That's right this hot orange hue will be showing up everywhere! This color is definitely bright and will totally make a statement this year! I'm so excited to get some fun pieces in this juicy color! Say buh-bye to tired,old mustard-y yellow because we are on to BIGGER & BRIGHTER colors! 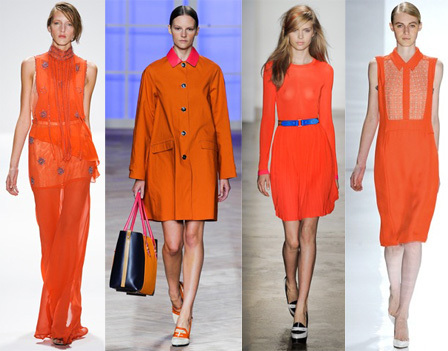 Tangerine was already being seen on the runway for Spring 2012! How's that for staying on top of things! Charlotte Ronson, Tommy Hilifiger, Peter Som, and Derek Lam all featured gorgeous clothes in this lovely shade. We can't forget celebrities! Gwyneth Paltrow, Emma Stone, Abigail Breslin, and Beyonce were not afraid to rock this bold shade. They weren't afraid to tango with tangerine! I can't wait to get some tangerine-y colored pieces in my wardrobe! I usually don't like to wear orange clothes because I don't think it looks good with my skin-tone but I think I can pull tangerine off! If your not afraid of looking as bright as a ray of sunshine, then definetly try out this color! 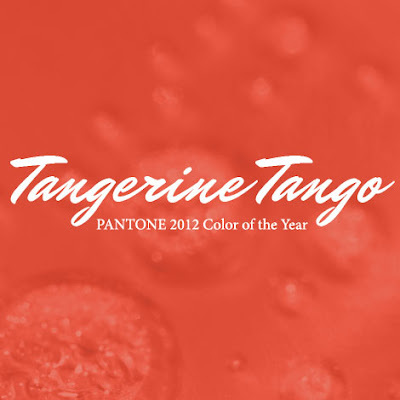 Are you brave enough to tango with tangerine this year?